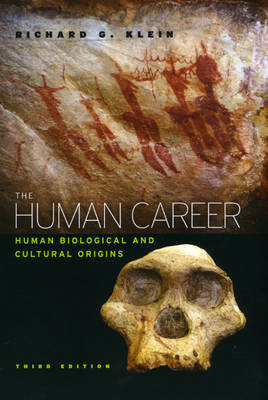 Since its publication in , The Human Career has proved to be an indispensable tool in teaching human origins. This substantially revised third edition retains Richard G. Klein's innovative approach while showing how cumulative discoveries and analyses over the past ten years have significantly refined our knowledge of human evolution.Klein chronicles the evolution of people from the earliest primates through the emergence of fully modern humans within the past , years. His comprehensive treatment stresses recent advances in knowledge, including, for example, ever more abundant evidence that fully modern humans originated in Africa and spread from there, replacing the Neanderthals in Europe and equally archaic people in Asia. With its coverage of both the fossil record and the archaeological record over the . million years for which both are available, The Human Career demonstrates that human morphology and behavior evolved together. Throughout the book, Klein presents evidence for alternative points of view, but does not hesitate to make his own position clear.In addition to outlining the broad pattern of human evolution, The Human Career details the kinds of data that support it. For the third edition, Klein has added numerous tables and a fresh citation system designed to enhance readability, especially for students. He has also included more than fifty new illustrations to help lay readers grasp the fossils, artifacts, and other discoveries on which specialists rely. With abundant references and hundreds of images, charts, and diagrams, this new edition is unparalleled in its usefulness for teaching human evolution.